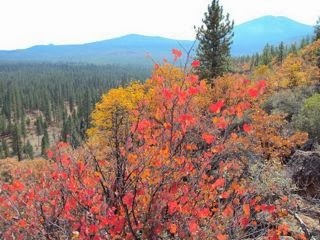 THPBlog: Fruit Growers Supply Company planning THP adjacent to Burney, CA. Fruit Growers Supply Company planning THP adjacent to Burney, CA. THP 2-13-080 SHA (Town THP) Fruit Growers Supply Company, 1947 acres; 54% fuelbreak, 30% sanitation salvage, 9% clearcut, 7% selection logging. Washburn Bue Park, Long Valley, Rocky Ledge, Goose Creek (MD: T35N R3E Sec.3, 4, 5, 6, 9, 10, 15, 16, 20, 21, 22; T36N R3E Sec.31, 32, 33). Winter operations, low erosion hazard, slopes up to 30%, oversized units, herbicides, great shasta rail trail, 3 osprey nests within .25 mi, bald eagle nest within .5 mi, Castlegar Hawthorne, trees up to 26" dbh. Estimated public comment deadline: 12/04/13. This THP is just north and east of the town of Burney, CA at an elevation of 3,100 to 3,400 feet. Fruit Growers Supply Company is planning a tractor based logging operation in ponderosa pine, sugar pine, white fir, incense cedar and Douglas fir forest. The THP is adjacent to the Burney town limits and also the proposed Great Shasta Rail Trail, which is the former rail bed for the Mc Cloud Railway which will be converted to a walking and biking path. There are 5 osprey nests; 1 osprey nest within the harvest area, 2 nests within .25 mi of the harvest area, and 2 nests beyond .25 mi from the harvest area. Willow flycatcher habitat exists along Burney Creek, and a population of the plant Castlegar Hawthorne was found at one location within the THP. More information is available on the THP Tracking Center website.